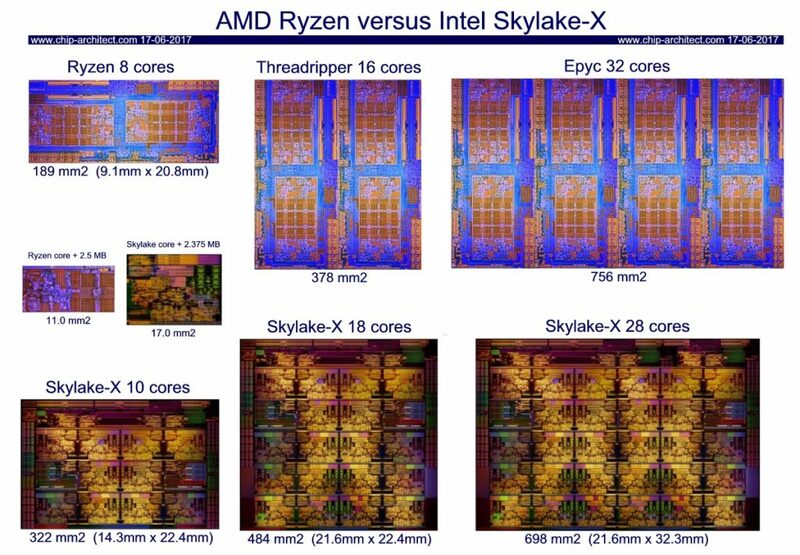 An overview of the die size comparison of Intel Skylake-X versus AMD Ryzen has shown up on the web. From the looks of it, the die size of Intel’s revised Skylake architecture has grown quite a bit. 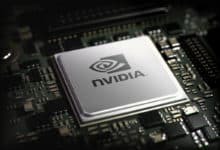 Starting with the Ryzen, we know that GlobalFoundries consistently lagged behind in the process technologies in its first few years of providing fab solution to AMD. However, since its collaboration with IBM and Samsung, GloFo increased its position as a semiconductor foundry. 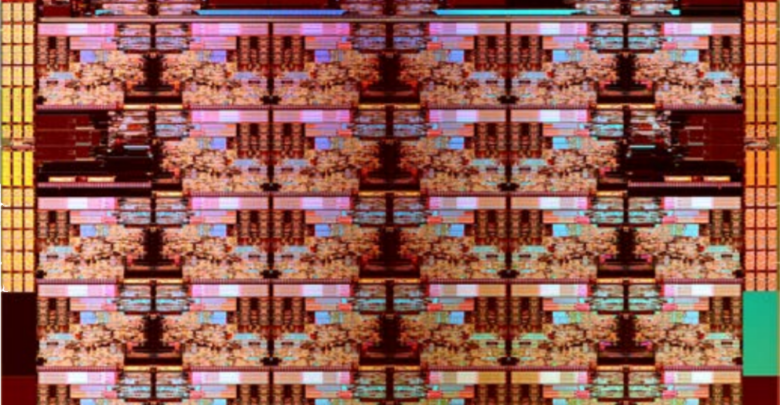 The results can be seen from the progress AMD made with its new 14nm Zen based processors. The Ryzen chips feature a 10% better area efficiency compared to Intel’s current Kaby Lake chips which are also built using the 14nm FinFET process. 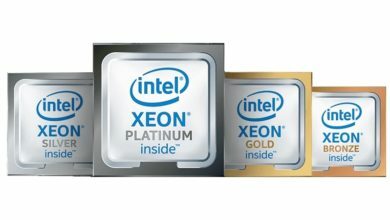 Moving to Intel’s just-launched Skylake-X, the chip design comes in the form of a new mesh interconnect architecture. 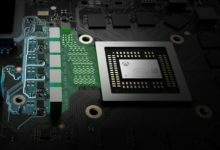 The mesh will offer higher bandwidth and improved power efficiency, but the whole package has also significantly grown. Looking at a die picture from Chip-Architect, the core size (inc L3) is about 17 mm², while Kaby Lake is by the same estimation 12.2 mm². 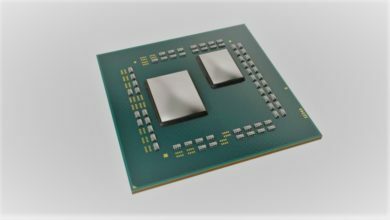 The AMD Ryzen core, which is also used with Threadripper and Naples alias Epyc, only measures 11.0 mm². 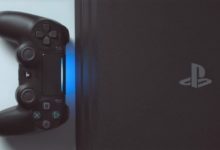 Especially, the Zen has a massive advantage with eight cores. It is significantly smaller at 189 mm² versus Skylake-X with ten cores at 322 mm². 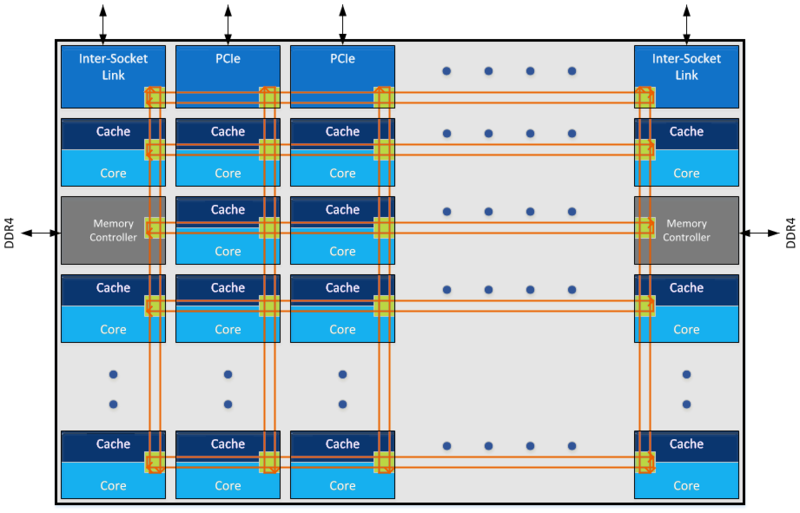 On the flip side, the Intel Skylake-X not only has two addition cores, but also 48 PCIe lanes and a six-channel memory interface instead of dual-channel. So there are obviously big differences in specs here. 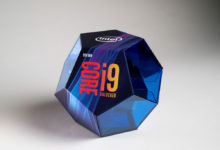 Intel appears to be somewhat balanced when comparing 16-core Threadripper against 18-core Skylake-X, but the advantage in production efficiency is still with AMD / GlobalFoundries. Although Intel offers more cores and better memory interface, area also grows by more than 100 mm² which isn’t a small increase. At 484 mm², the core size of 18 cores is already larger than that of the Broadwell-EP with 24 cores, which measures 456 mm². As the number of cores on Skylake architecture increases to 28, it brings in additional space into the game accordingly. 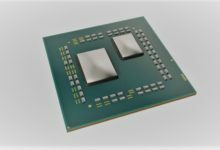 The Xeon CPU die is estimated to be 698 mm² which is a huge growth over AMD’s Epyc at least on paper. 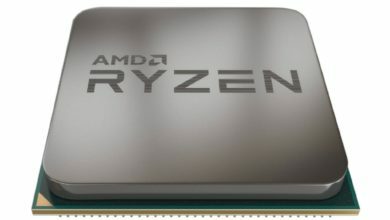 The special feature of AMD Ryzen chips is their multi-chip module design. For example, Epyc features four 189 mm² Zen dies which communicate with each other via Infinity Fabric. This should save a lot of production costs and possibly lead to a higher yield rate. 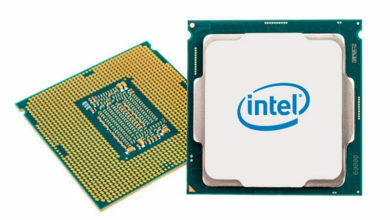 How these new high-end processors perform against each other is still unknown. 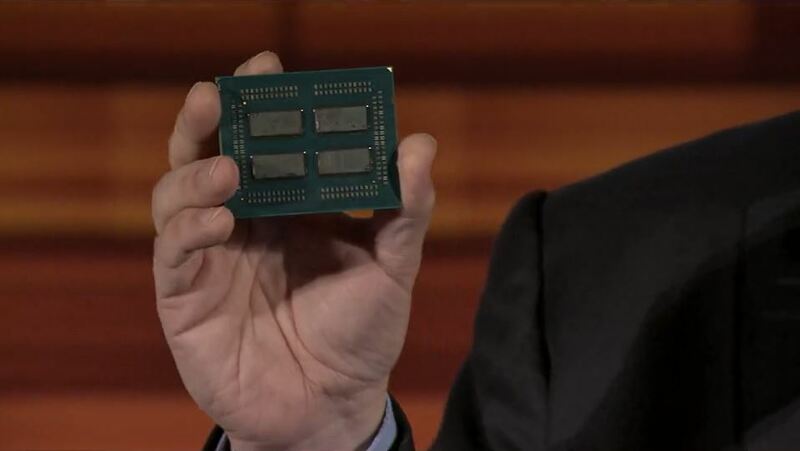 But, based on the die sizes, AMD CPUs could be significantly cheaper. It’s theoretically possible for AMD to price its flagship Ryzen Threadripper with 16 cores under $1000 and still make profit as we saw with the Ryzen 7 1700.